As the volume of big data escalates and data storage capacity increases, law firms need to take a proactive approach to data discovery, retention and management. Electronic discovery (eDiscovery) is the process in which electronic data is sought, located, secured and searched with the intent of using it as evidence in a civil or criminal legal case. The ultimate goal of eDiscovery is to whittle down and review all data discovery in order to produce a core library of relevant evidence for litigation in a defensible manner. “eDiscovery is important in all forms of litigation and dispute resolution, but the processes and technologies around eDiscovery are often complex because of the sheer volume of electronic data produced and stored. In turn, this complexity increases the risks, and that in turn increases litigation costs. Discovery costs can amount to up to 70% of total matter costs. 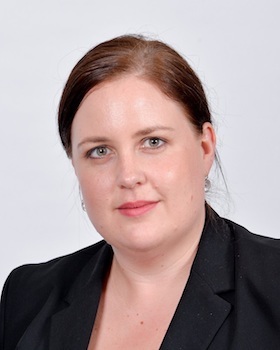 As technology improves, the unique challenges of cost and efficiency relating to discovery need to be addressed through more innovative solutions and processes,” explains Megan Jackson, Project Specialist at Webber Wentzel. Current communication and document creation methods mean that almost every dispute resolution matter involves the identification, collection, review and management of electronic documents in volumes ranging from a few thousand to a few hundred thousand. The management of these volumes for investigation and discovery purposes requires the right legal and technological expertise, cost effective resourcing options, best practice electronic discovery processes, fit for purpose technology and the ability to combine these to create an eDiscovery offering that is effective and commercially compelling. Webber Wentzel has invested heavily into its eDiscovery and Dispute Resolution Support strategy, creating its own Legal Services Centre (LSC) and alternative resourcing capabilities, which are owned and managed in-house. This means better utilisation of skilled human resources, budget certainty for clients, reduced matter management burden on clients and potentially better litigation outcomes. “With a rapidly changing technology landscape that is doubling the volume of big data every two years, and expanding data to new channels such as cloud, mobile devices and social networks, the importance of advanced eDiscovery solutions and technologies that increase value, enhance cost-effectiveness and reduce risk is crucial. Webber Wentzel has invested significantly into bringing specialised attention and experience from an internal team and external network thoroughly versed in every aspect of eDiscovery,” says Megan. Dedicated legal project and eDiscovery managers who work alongside the lead partner on a matter to attend to matter planning, vendor selection and management, reporting and resource management. Established processes and protocols designed to shorten project lead time and ensure consistent quality output, including electronically stored information (ESI) questionnaires, data exchange protocol, matter planning templates and various other project management tools. The ability to advise clients not only on legal merits of a matter, but also on the best way to manage a matter. Vetting and selecting a range of eDiscovery and document review platforms, external service providers and forensic specialists. Webber Wentzel’s legal project and eDiscovery managers are familiar with most platforms on the market and will assist the client in platform selection. The LSC which provides in-house alternative resourcing options for cost efficiency on identified tasks and the delivery of managed review projects for high volume reviews. “In today’s electronic and data-driven society, an entire case may depend on the fast and effective identification of a single fact or piece of information. Webber Wentzel evaluates each matter with reference to complexity, client needs and budget and then advises on the best approach. The firm also plans to offer eDiscovery training to clients and counsel that are new to eDiscovery, equipping them with techniques that they can apply within their organisations and that will promote greater collaboration with their external advisors. The end-goal is making eDiscovery an efficient, secure and cost-efficient process,” concludes Megan. Founded in 1868, Webber Wentzel is today one of Africa’s leading law firms with a total staff of approximately 800 with offices in Johannesburg and Cape Town.